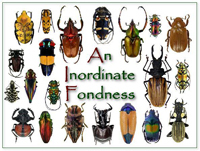 The monthly blog carnival devoted to beetles. Do they get read by enough people to be considered useful? Do the people who read them actually click through to blog posts they wouldn’t have otherwise? …what about people who aren’t regular readers of featured blogs? Are there any? Do people who don’t usually read about the subject matter learn about it through carnivals? For me, the post struck a chord—for some time I’ve asked similar questions about An Inordinate Fondness. Every blog carnival, whatever its subject, has the goal of growing readership, both at the subject level and at the blog level. In theory, an attractive, well-organized carnival introduces readers to material to which they may not otherwise be exposed and provides a forum for individual bloggers to showcase their content to attract new readers. If a carnival does not succeed at these goals, is it still relevant or just redundant? I want very much for AIF to accomplish these goals, but there is little to suggest this is actually the case. Readership is high (as indicated by site stats), but participation is low—for the past year very few of the posts featured have been submitted by blog authors themselves. Rather, they have been gleaned from the blogosphere by me and sent to that month’s host. As I re-read the questions posed by Bjørn and consider them strictly for AIF, increasingly I suspect the answer to each is “no.” Part of me wonders if this signals a maturation in the blog “industry.” Blogs are not as novel as they used to be, and there are many bloggers and blog readers that have been doing this for some time now. I suspect that most of these long-term bloggers and blog readers already know what they like and what they don’t like, and “outreach” tools such as blog carnivals are becoming less relevant as a result. 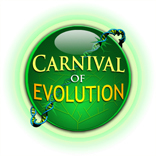 For small carnivals with a narrowly defined subject such as AIF, the effect is magnified. All that said, I’m sure you know where this is going—AIF has seen its last issue! It was a good run, and an experiment that had to be done. The 16 blogs that hosted an issue produced some of the most interesting carnival issues I’ve ever seen, and I’m grateful to all those who supported AIF by helping with its formation, direct participation, or readership and subscriptions. In the meantime, Beetles in the Bush remains alive and well to satisfy your elytral yearnings, as do many other blogs that regularly feature beetles (soon to be featured in the sidebar). 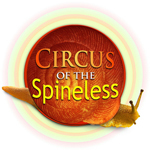 Help promote An Inordinate Fondness by adding one of the badges below to your sidebar and linking it to An Inordinate Fondness. You can choose from several sizes designed to fit typical side bar templates or download the original and customize the size yourself (examples below shown at width = 200). Further details on using badges can be found at AIF Badges. Enter your email address to receive email notifications of new issues An Inordinate Fondness. 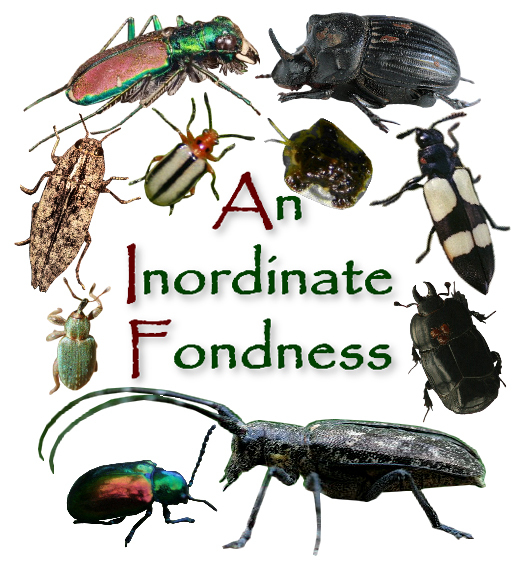 An Inordinate Fondness… for Beetles! When asked by an English cleric what his studies of nature’s diversity had taught him about the Creator, 20th Century British geneticist and noted evolutionary biologist J.B.S. Haldane reportedly quipped, "He has an inordinate fondness for beetles." While there is some uncertainty whether Haldane ever actually spoke these words, no one can argue with their truth. 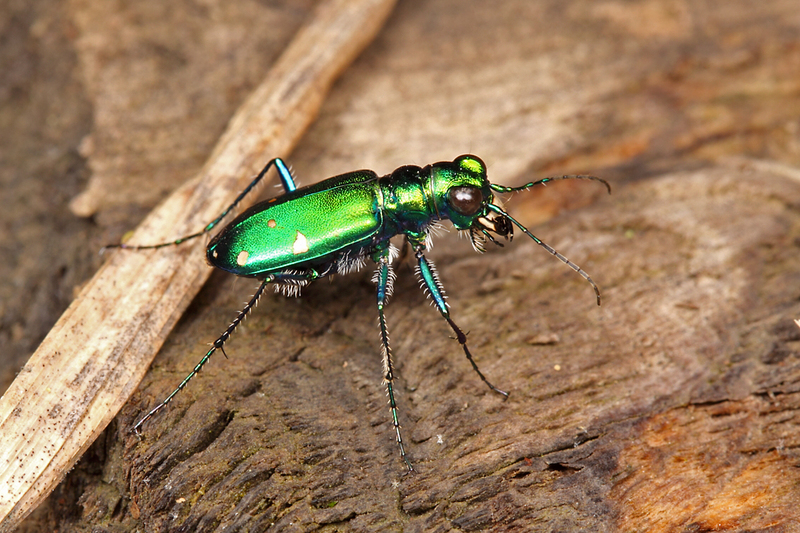 In fact, nearly half of all insects and one quarter of all described living species are beetles—350,000 and counting. They occur in virtually every habitat imaginable and exhibit innumerable, often brightly colored—even iridescent—and architecturally elaborate forms. 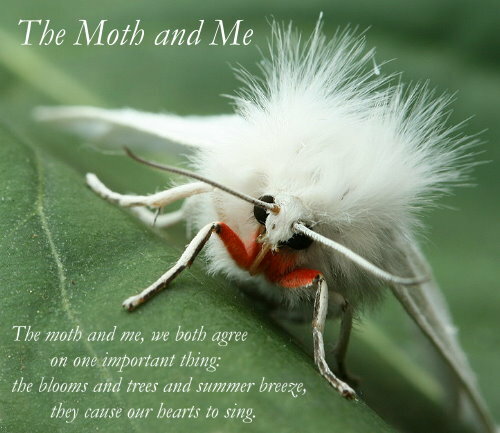 Their impacts on humans are also many, not only as pests and beneficial organisms, but also as cultural symbols and objects of passionate scientific and philatelic interest. 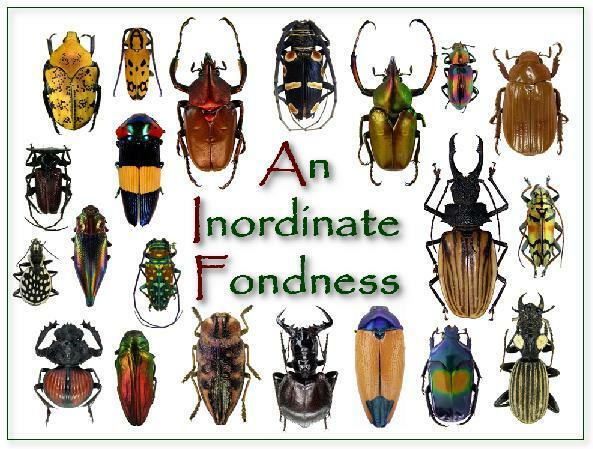 An Inordinate Fondness is a celebration of beetles—of their indescribable beauty, amazing forms, and astonishing diversity. We hope you will join us in this celebration every month, as we highlight the best that the blogosphere has to offer on this fascinating group of animals. The administrator for An Inordinate Fondness is Ted C. MacRae, author of Beetles In The Bush.